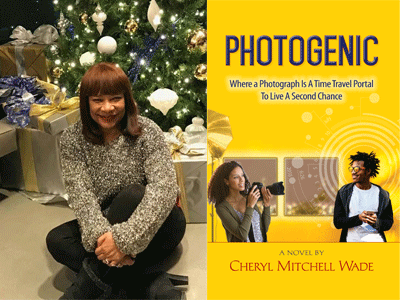 Local writer Cheryl Mitchell Wade discusses her expressive debut novel, Photogenic: Where a Photograph Is a Time Travel Portal to Live a Second Chance. The Grant family has a secret mission: to transport people back in time - through photographs - which allows the time-traveler to correct past missteps. Photogenic tells the universal, moving story of imperfect people seeking a way out of pain and despair. Sometimes salvation can be found by traveling back through time to make better choices, and other times it's revealed that second chances provided through time-travel doesn't always produce the desired outcome. William Johnson, a 20 year old college drop-out; and Ramona Hunt a 46 year old victim of domestic violence, both take a trip back in time. Travel with the sincere and idealistic Grant Family of photographers, as they send William and Kay on their journeys to discover if do-over's are worthwhile, or simply a supernatural opportunity better left unexplored.